CLICK HERE TO RESERVE YOUR SPOT IN OUR COCKTAIL CLASS NOW! Each cocktail will be made during the class so that you can sip while you learn. Guests will also learn about the history and flavor profiles of each drink and its ingredients, to expand your knowledge of spirits and cocktails. A written and printed packet will be provided for you to take what you have learned with you! 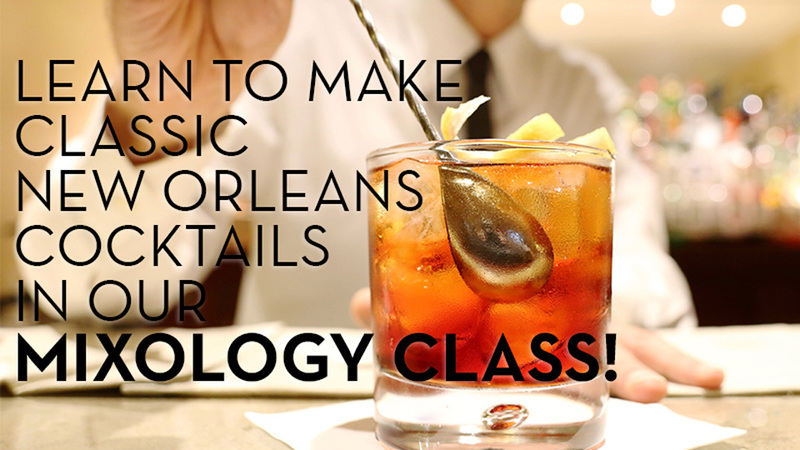 IF YOU HAVE PURCHASED A GROUPON FOR THE MIXOLOGY CLASS, CLICK HERE TO BOOK YOUR CLASS NOW! Private mixology classes are available for groups of 8 or more. Please contact us here with the date, time and size of your group to discuss private class rates and book a mixology class for your group!